In the cutthroat market of the corporate world, it is very important to have good recourses to stay ahead in the competition. With the intention of providing the clients with the best and brightest candidates and in turn creating an effective bridge between the job provider and job seeker. At Career Move Consultant, we are offer host of recruitment services according to the requirement of the clients. We are based in Mumbai, Maharashtra, we are counted among one of the prominent services providers offering host of services such as Training & Development Services, Executive Search Services, Recruitment Process Outsourcing Services, Human Resource Consultancy, Staffing Solution Services and Campus Recruitment Services. Keeping in mind the various needs and requirements of the clients, we offer reliable and prompt services. 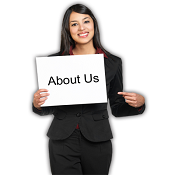 We are client centric company and providing full client satisfaction is our sole goal. Established in the year 2008 under the dynamic leadership of our Founding Director, Seema Diwaker, over the years we have provided world-class services to the clients with effective manpower and recruitment solutions. Under the management of our Director- Marketing, Navneet Diwaker, we are catering to more and more clients with effective recruitment solutions. We have with us a team of efficient HR professionals who work with full dedication to ensure that we provide the clients with effective HR solutions. Since the incorporation of the company we have benefited many clients by offering world-class services. For the convenience of the clients we are offering the most transparent deals and follow ethical business practice. Our Vision : To lead in the creation and delivery of excellent manpower management services in the ever changing dynamic corporate world. Our Mission : To bridge the gap between opportunity seekers and our clientele through excellent and highly dynamic service quality.